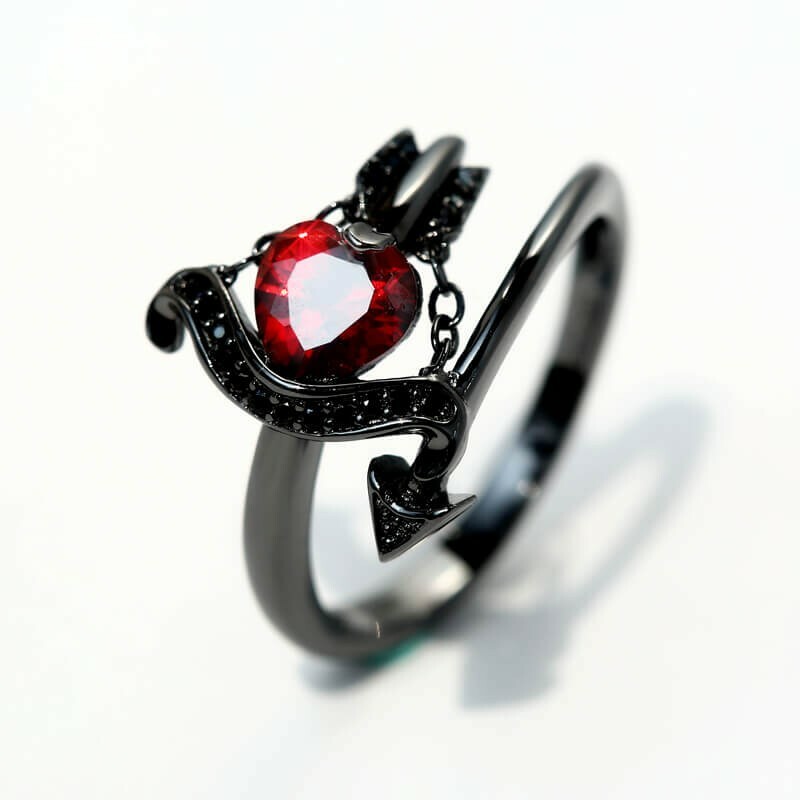 This is the designer's "Arrow of Cupid" series jewelry. 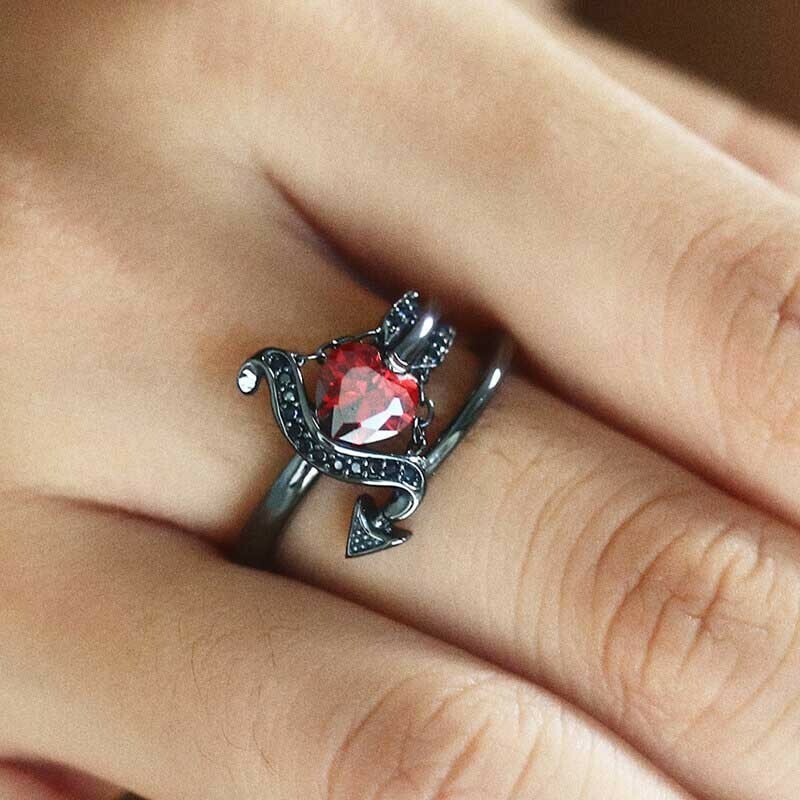 The unique double arrow design is more stylish and unique. Love arrows across the universe and all beautiful things to wound at your fingertips, and tightly surround you with love. Split shank design makes the three-dimensional effect of the ring more obvious, seen from a distance, it just like a real Cupid arrows coiled round your fingertips. 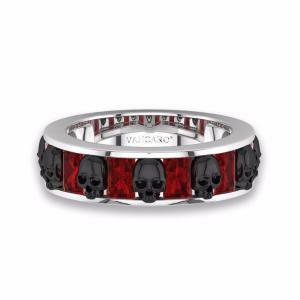 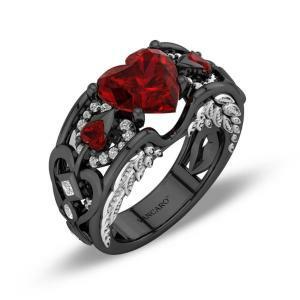 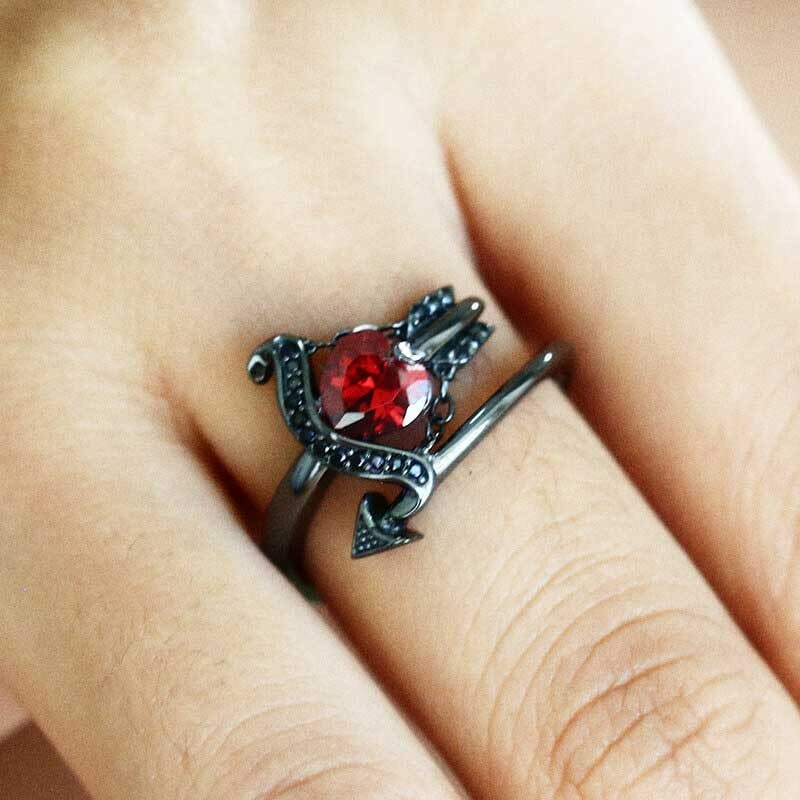 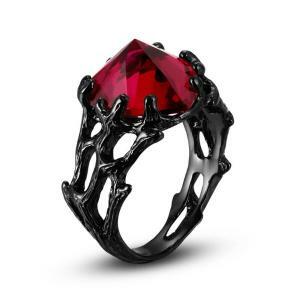 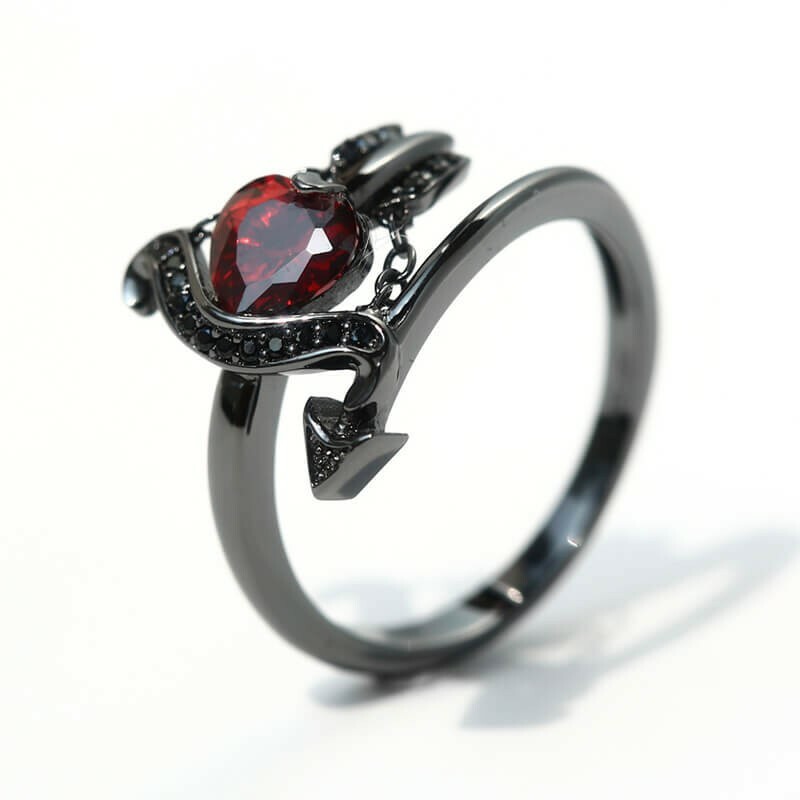 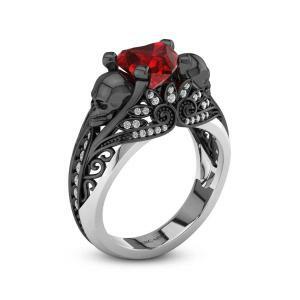 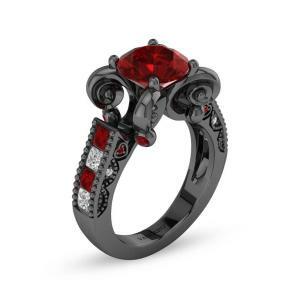 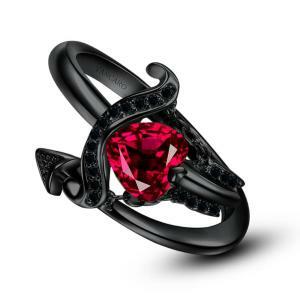 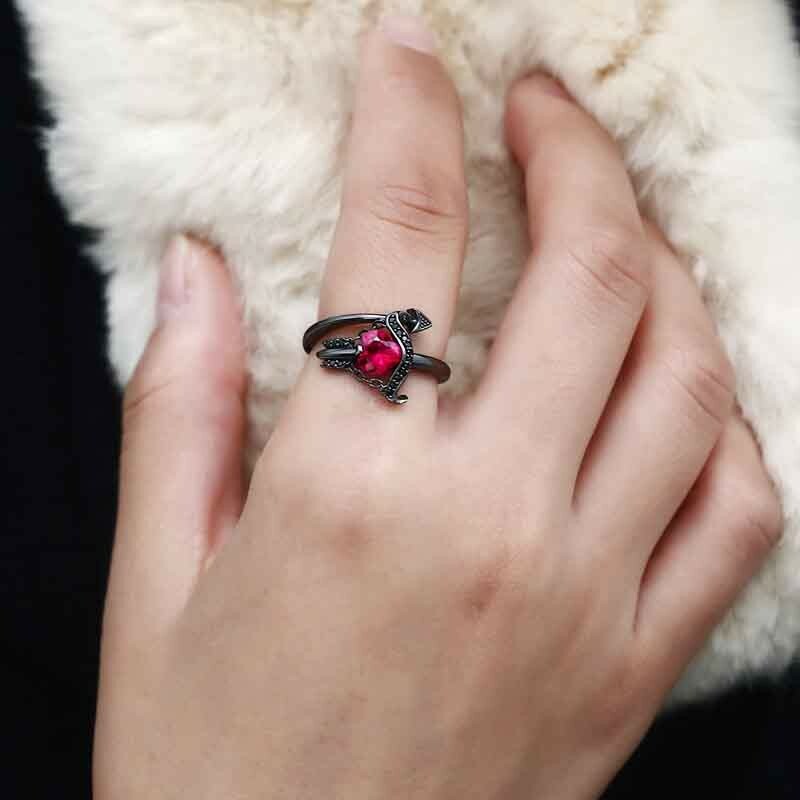 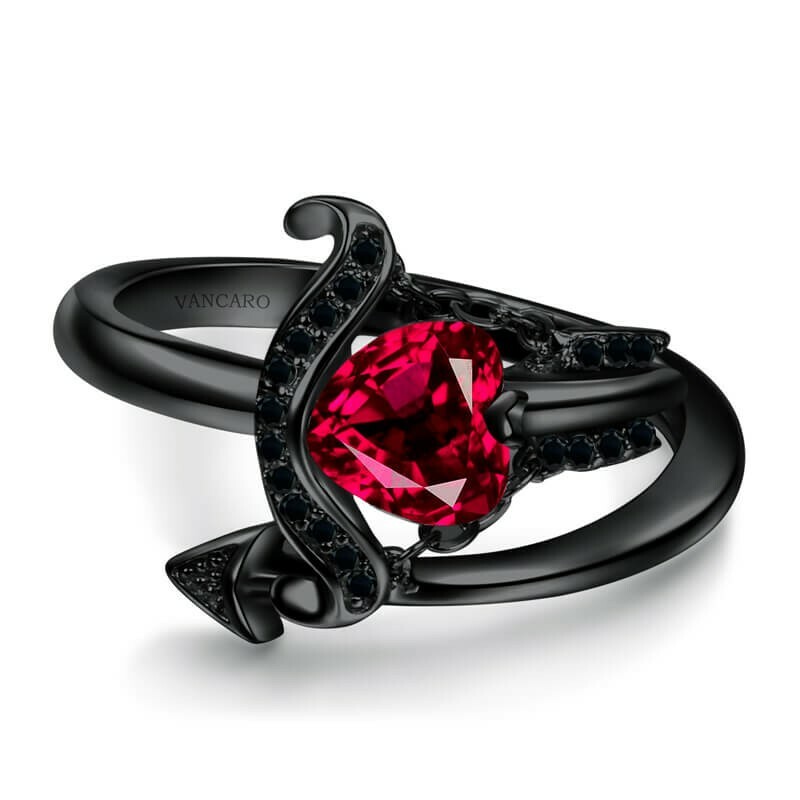 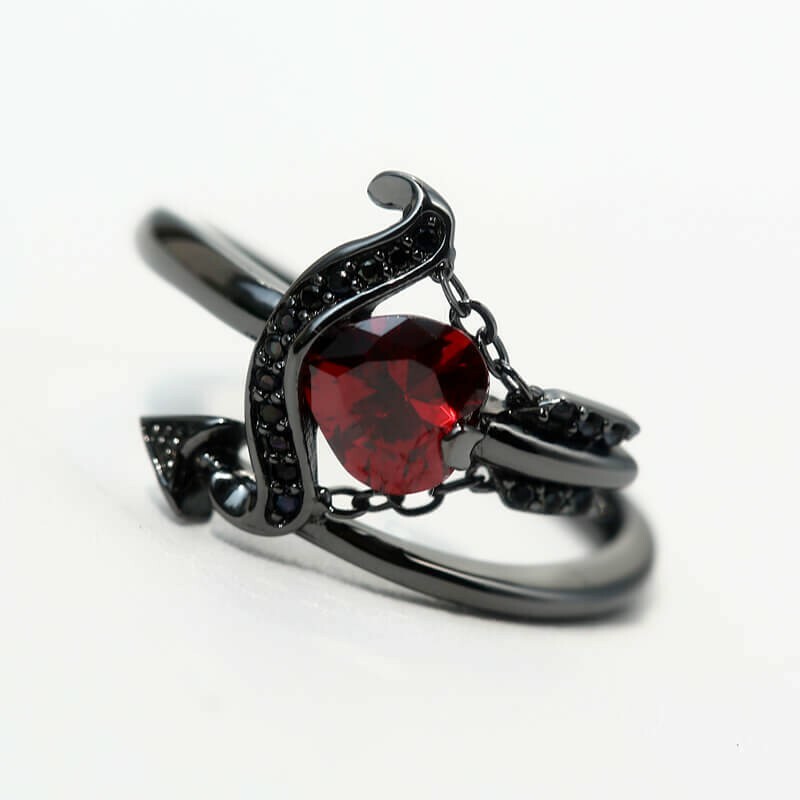 Sterling silver ring was plated with a layer of mysterious black, and there is a 0.75ct heart red cubic zirconia. 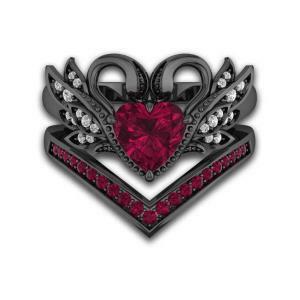 Do not neglect some details of it-different sizes of black cubic zirconias were studded in the bow and feathers, which makes it more sparkling. 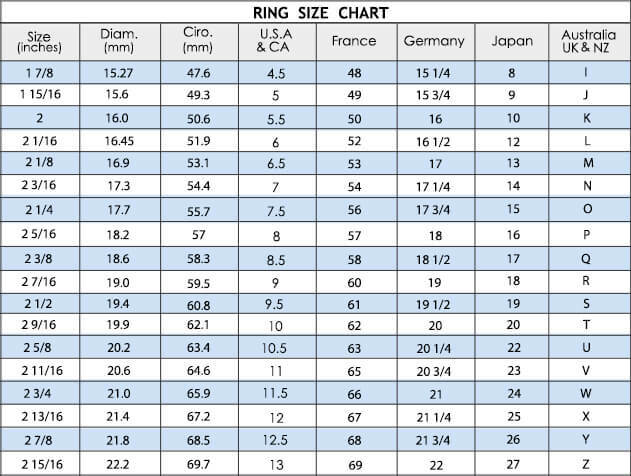 Still envy others out of pairs? Still looking forward to the arrow of love may shot you? 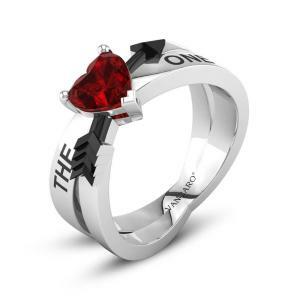 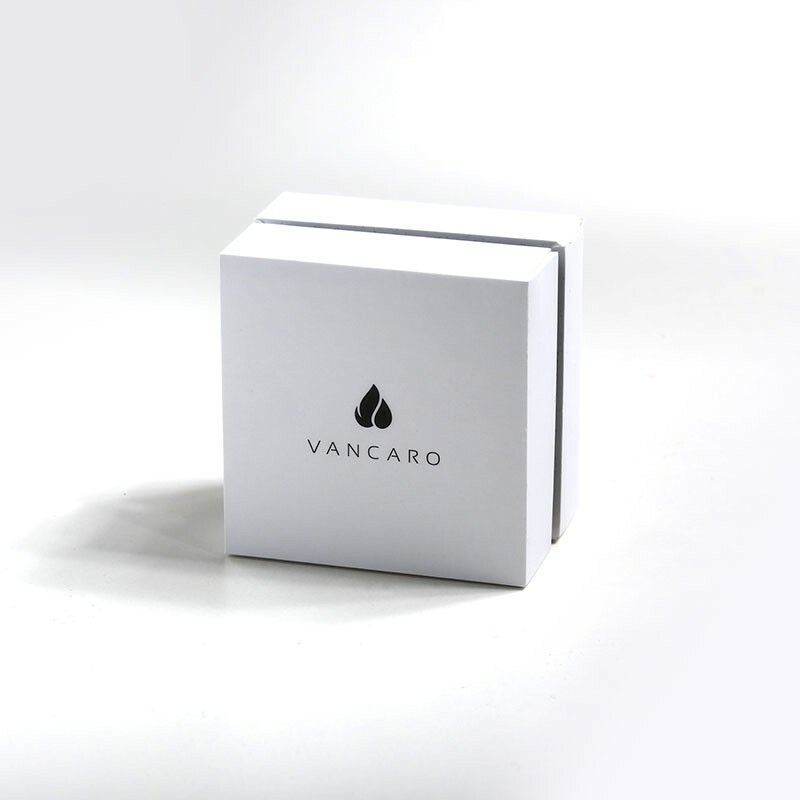 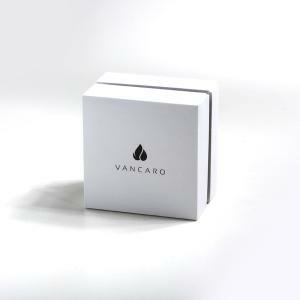 Come and wear it on your index finger, maybe your Mr.Right will be right in front of you. 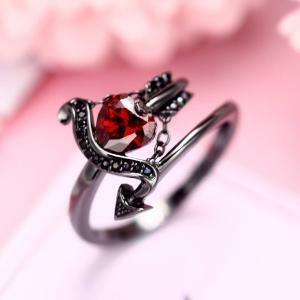 Of course, it is also a nice ring to express your love.